Skinny Jeans: Did I hear the lunch bell? Did I hear the lunch bell? Lunch seems like the trickiest meal of the day for me. My breakfast stays pretty much the same and I plan out dinner, but what about that other meal? Lunch! 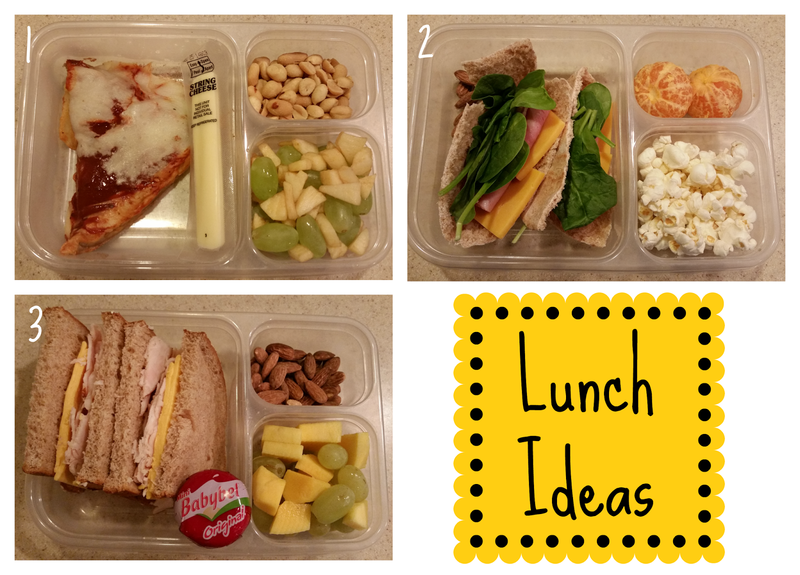 I decided to document some of the clean lunches I have recently packed for my husband. These would be great for anyone! After all, aren't husbands just big kids? 1. Leftover whole wheat pizza, organic cheese stick, fruit salad (grapes & apple bits), and a handful of peanuts. 2. Ham and cheddar on mini pita pocket with spinach, air popped popcorn, 2 mandarin oranges. 3. Turkey and cheese on whole wheat bread, Babybel cheese, fruit salad (grapes & sliced mango), and some almonds. 4. Homemade pizza lunchable! Mini whole wheat pita pocket from Trader Joe's, pizza sauce, shredded mozzarella, and pineapple chunks. 5. Organic peanut butter and jelly (Just Fruit kind) on whole wheat bread, organic cheese stick, apple slices, almonds and dried cranberries. 6. 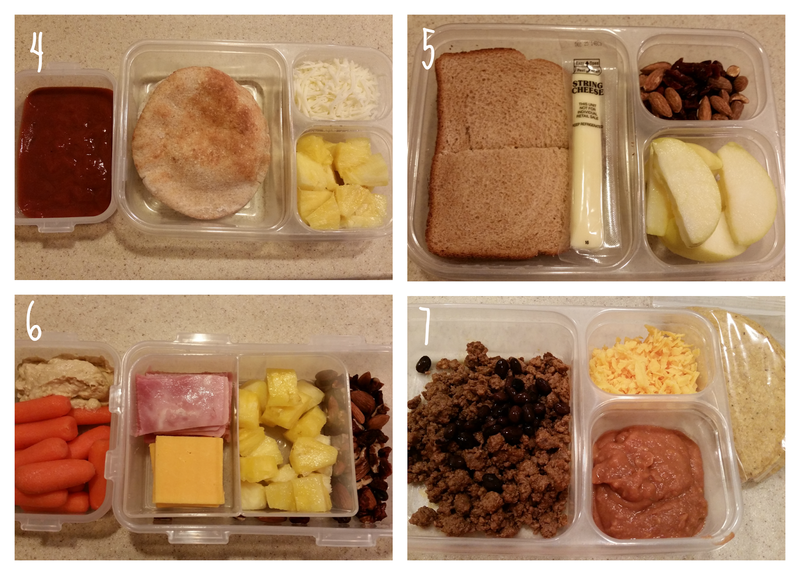 Applegate Naturals ham slices, cheddar cheese slices, slice pineapple, homemade trail mix (walnuts, pecans, dried cranberries), and carrots and hummus for a snack later on. 7. Leftover tacos! Beef (with homemade seasoning), black beans, refried pinto beans, shredded cheddar, and hard corn tortilla from Trader Joe's.